In Romania, like in all Eastern European countries, many changes occurred with the end of the communist era. The Romanian education system has undergone many transformations, which started with the removal of political education in 1990. However, in almost 20 years, there has been little stability or consensus on how education should be run. Each year brings substantial changes that, sometimes, reverse changes just a few years before. Children start to attend kindergarten as early as three years old and can stay until they are six or seven years old. Unlike public kindergartens, many private kindergartens offer special programs such as foreign languages (especially English, French or German), sports, and dance programs. Children need to attend one year of kindergarten before entering public schooling. In kindergarten, minority students can start learning in their own maternal language. Public kindergartens are free, while private kindergartens are quite expensive for average families. Usually, children spend three to four hours a day in kindergarten. There are some public kindergartens which provide food (which must to be paid for), and after-lunch sleeping periods. Few kindergartens have all-day programmes, if they do most of these are private institutions. 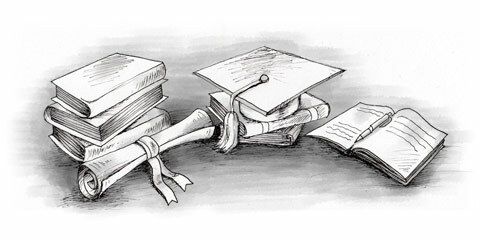 Education in Romania is compulsory until the age of 16. In practice, given that most Romanians start school at the age of 6, the first ten years have been made compulsory by the ministry. Aside from the official schooling system, and the recently-added private equivalents, there exists a semi-legal, informal, fully-private tutoring system. Tutoring is mostly used as a supplement to help prepare for various examinations, which are notoriously difficult. Tutoring is wide-spread, and it can be considered a part of the education system. This is the final step before enrolling to university. During high school, students choose a speciality: arts (philology, foreign languages), science (mathematics, informatics, physics), military college, economic college or professional school. The admission process differs between universities and there is not synchronized system. Most universities will give an "admission exam" in a high-school subject that corresponds best to the training offered by the university. Some, due to the lack of relevance of the system, have begun implementing a different scheme based on essays, interviews, and performance assessments. Private universities do a good job competing with those that are public. The universities are developing their program and structure according to Bologna System, which means three years length for most of university majors followed by another two years for masters degree and three years for the doctorate degree (Ph.d.). This is developing mostly in public universities. There are also international exchange programs available during university like Erasmus, Lingua, etc. More information about the public Romanian educational system can be found on the site of the Romanian Education Ministry: http://www.edu.ro (in Romanian only).